Overall the GX80 is a solid mid-level compact system camera. Just because it's smaller and more affordable than its bigger brother doesn't mean it's scrimped on the features front at all - indeed it's added many that other Lumix G-series models lack. And that makes this one mighty yet mini camera. 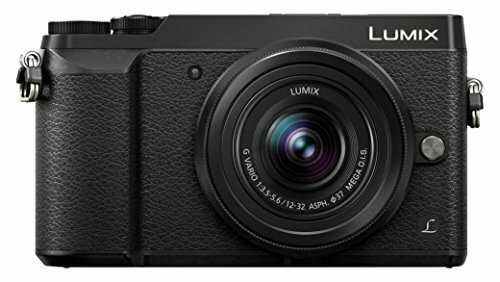 With the Lumix GF8 absent from British shores, we were beginning to wonder if Panasonic had bailed on the smaller-scale and more affordable compact system camera concept. But that's not the case, as the latest Lumix GX80 (or GX85 in the USA) stands to prove. And having had one in the bag for a week, the GX80 feels a lot like a mini version of its GX8 big brother - but with mighty potential thanks to new-to-Lumix features such as 5-axis Dual IS image stabilisation and a low-pass-filter-free sensor. So if you're looking for a relatively small-scale system camera with built-in viewfinder and many of the mod cons then your options are relatively limited on a sub-£1,000 budget. The GX80 is, in a sense, Panasonic's smaller-scale answer to the Fujifilm X-T10, while keeping up to speed with other 5-axis stabilised models from both Olympus and Sony. But can it stand head and shoulders above its competition? Core to the GX80's makeup is its built-in electronic viewfinder and tilt-angle LCD screen. You can compose up on high, down low, or when raising the camera to the eye, which is handy for all kinds of situations. It's a touchscreen rear panel too, which makes for quick and easy focus point adjustment with the tap of a finger - although there's the potential for accidental knocks and focus point repositioning too, just as with other Lumix models. However, both these core features aren't as boisterous as found in the larger-scale GX8: the GX80's viewfinder is fixed in position and the rear LCD doesn't have a fully variable bracket mount. But we're ok with that on account of size; the GX80 is far more bag-friendly and, given its limited dials - there's a mode dial up top, neighbouring what looks like a second dial but is just a thumbwheel control - an aesthetically more pleasing experience too. That viewfinder is LCD too, delivering 2,764k-dots of resolution over a panel with 0.7x magnification. So it's hugely resolute, but a fair bit smaller than the OLED one found in the GX8, which can certainly be felt (not that it's tiny by any means). Slightly quicker automated eye-level activation would also benefit use in our view. Handling the GX80 feels natural; it's befitting of the price point and range, even if there aren't that many dedicated dials. There are, however, dedicated buttons to adjust core features such as focus point, ISO, white balance and drive mode, as and when needed. The Q.Menu ("quick menu") button is another absolute must to avoid deep and laborious menu digging, which helps to make for a more fluid experience if you're looking to go one better than just pressing the shutter and letting the camera take control. The build quality isn't mucking about either. There's reassuring heft to the body, the faux-leather grip looks quality finished in black, and we're rather fond of the silver-topped model we're reviewing (that's the Jessops exclusive, by the way). Shame the aluminium dials don't quite match the same material though - when they catch the light there's an almost purple resonance to their sheen. Despite its small size, if the GX80 goes large when it comes to new features, paving the way for future Lumix G-series cameras. Principal to its design is the removal of the low-pass filter (LPF) - a first for the Lumix G-series, which we'll cover in more detail later - a brand new electromagnetically-controlled shutter unit, and a new sensor-based 5-axis image stabilisation system. The new shutter unit is one of the most interesting features of the GX80 because it's so, so much quieter than the ones in the GX7 and GX8. We've handled all three cameras side-by-side and the GX80 is the obvious winner (the GX7 has the most pronounced "draw" sound, the GX8 a more mighty "click"). This is because it works with electromagnetic coils rather than a tightly wound spring, using a different arrangement of shutter blades (they're still vertical-run though). However, it's a double-edged sword. Although the new shutter means a 90 per cent reduction in vibration compared to earlier Lumix models - which ought to help with slower shutter speeds - it's not capable of operating at the very fastest of speeds. So 1/4000th of a second is the maximum mechanical operation, compared to 1/8000th of a second in the GX8 and many other system cameras. Sync, too, is limited to 1/160th, rather than 1/250th as with many other G-series cameras. There is a work-around if you want super-fast shutter speeds though. An electronic shutter caters for speeds up to 1/16,000th sec, without making any sound at all - and we've been using it probably more than the standard shutter for the duration of our review (ok, so even that's a whole stop slower than the GX8's 1/32,000th sec, but we suspect that's presumably just to put a point of difference between the two cameras, rather than being an impossibility to implement). Also new is a sensor-based 5-axis stabilisation system, which can work in tandem with lens-based stabilisation for what Panasonic calls Dual IS. This system is developed in-house, rather than being a picking from Olympus or Sony, both of which use their own systems. It's interesting that the system works with sensor- and lens-based stabilisation systems, including while capturing 4K video (again, a first for Panasonic Lumix), because the tandem subtle movement of optical and sensor can avoid drifting into the unwanted territories of the available imaging circle. It's an impressive stabilisation system too. Despite only having the 12-32mm f/3.5-5.6 equivalent collapsible lens (with Mega OIS built-in), which really isn't great in low-light conditions at full extension due to the aperture limitations, we've been confidently shooting shots handheld right down to 1/15th of a second. It won't work for everything, but it does work well. The drawbacks of the Dual IS system aren't major: one, it'll affect battery life adversely, and that's not especially outstanding in this model anyway (we snapped around 200 shots or less); two, it makes an annoying "hissing" kind of noise, but at least you know it's working (the same thing happens with the Olympus system, so it's nothing new or particularly problematic). In general the GX80 responds impeccably, just as we've come to expect from the latest Lumix G-series cameras. Its autofocus system is up there among the best available in the compact system camera category. We're particularly fond of the variety of AF options, including Pinpoint AF which enlarges the focus cross-hair to 100 per cent scale on screen to confirm absolute focus. There are also automated multi-zone and customisable single area focus setups, useful for different shooting situations. Light permitting a refresh rate of 240fps not only means smooth playback, but heaps of data to utilise for moving subjects when selecting continuous autofocus (AF-C). Just like with the GX8, however, the GX80's setup isn't quite perfect: the first time we swapped into AF-C it broke the camera entirely and required a full reset (pre-release software bug right there); thereafter we ran into the "pulsing" issue where the focus seems to non-stop pulse between two closely associated fields. However, in terms of operation, it's a decent system overall. In terms of burst speed the GX80 can snap at 8fps in single autofocus and up to 6fps in continuous autofocus. When shooting raw & JPEG the limit seems to be capped to 41 frames maximum, which is what's been set with two different SD cards that we've tried (both UHS-I 45MB/s write speed). Not bad going overall. Given the mass of features, both established and new, the GX80's £509 body-only price seems very fair considering how much more the GX8 is/was at launch. The best seller, we suspect, will be the £599 12-32mm kit option though. As with all recent G-series Lumix cameras, the GX80 is going hard on the 4K Photo modes. Off the back of Christmas 2015 TV advertising we suspect there's a lift in comprehension of what these modes are all about but, in short, it's all about capturing 8-megapixel images at 30 frames per second - giving a huge breadth of shots to choose from as stills. There are four function (Fn) buttons arranged across the rear of the GX80, although they're pre-defined for this camera: Fn4 looks after finder/LCD activation; Fn2 brings up the Quick Menu (which can be touch-controlled and even customised for extra speed); while Fn3 and Fn1 handle 4K Photo and Post Focus respectively. Using 4K Photo modes gives the option of an ongoing burst while holding the shutter; the S/S option means "start stop" where two distinct shutter presses are needed; there's also 4K Pre-Burst which captures a single second's worth of footage before even firing the shutter to help catch that perfect moment. Usefully it's possible to set the shutter speed in manual/shutter priority modes so, light permitting, you're not stuck to the camera's choice - which might be too low when handling moving subjects. We can see the benefit of this mode, although we're still unconvinced by the 4K Photo namesake and whether people will immediately get what the mode is all about straight off the bat. The newer mode of the two, Post Focus, does what it says on the tin: you can focus the shot after taking it. However, if you're hoping to shoot hand-held like you would with a Lytro, then you'll be disappointed; the Panasonic mode needs a tripod for steadying the frame while it grabs a movie file at multiple focal depths. It's a nice idea though, even if it's not immediately apparent how it functions after clicking the dedicated Fn button. Outside of these modes there's an obvious additional positive take-away: the GX80 can capture 4K video at 25/24fps using MP4 output. There's a micro HDMI output (not clean), but that's as far as things go - no 3.5mm microphone or headphones jacks to be seen. Great for consumer 4K (or 1080p up to 50fps) video capture though. It's kind of surprising it's taken Panasonic this long to remove the LPF from its system cameras. The filter exists to diffuse light slightly to avoid jaggies and negate moire and false colour in images - the last of which is a result of the standard colour filter overlay. By removing the filter there's an uptake in sharpness by up to 10 per cent (according to figures) and, as many other manufacturers argue, at the higher resolutions and with more advanced processing of today many of those issues are never issues at all. Interestingly the GX80 opts for a 16-megapixel sensor, not quite as high-res as the 20MP offering in the GX8. The difference between the two, however, isn't especially pronounced. After all, the removal of said LPF filter gives a subtle lift to detail potential, which when enlarged will deliver a similar quality. Think of it more as a GX7 with extra oomph and you're pretty much there. There's no ISO 100 option, which is a shame, but it's somewhat commonplace to begin at ISO 200 in these camera types. Given the fast electronic shutter speeds that's not necessarily an issue anyway. And the results at this starting sensitivity are crystal clear. That's the one main thing we've been looking for in the GX80's images: clarity. Because a subtle undercurrent of image noise was visible in the mid-to-dark areas of the GX7's images, which seems to be largely absent in the GX80's shots. A dark pint of Guinness shows off deep blacks at ISO 6400, while the in-between sensitivities remain strong too: a phone snapped at ISO 800 was used as a lead image for another review on this very site, exhibiting only minor grain to the midtones, but nothing major. However, processing will negate that uplift in sharpness by limiting the detail potential. A shot of flowering heather taken at ISO 3200, for example, shows lots of mottled detail. Again, colour noise is largely absent from the mid-grey background, but larger sensor cameras might have the upper hand in the critical detail stakes here. Saying that, over time Panasonic has elevated the Micro Four Thirds sensor - which is a little smaller than APS-C ones used by Sony - to be mighty impressive. And while the removal of the LPF and refocus on a 16MP sensor doesn't mean the GX80 is leaps and bounds ahead of the current standard, it's certainly on par. Slap a top notch lens on the front and it'll be happy days. That in this small form factor makes it better looking and almost more appealing than its larger brother GX8. In many respects the Panasonic Lumix GX80 is a more desirable purchase option than its GX8 big brother: it's smaller, for starters, has the core viewfinder and tilt-angle LCD make-up included, adds 5-axis image stabilisation and, critically, is more affordable. Sure, the GX80's 16-megapixel sensor might not be as high-resolution as the GX8, but with the removal of its low-pass filter and updated processing it's a step beyond where the GX7 was a couple of years before. By and large the quality is great too, especially given the potential of both lens- and sensor-based image stabilisation working together. The competition is stiff, of course, with the retro style of the Fujifilm X-T10 an obvious lure and similar (smaller-scale) products from Olympus offering ultimately similar prospects. Of them all, though, the GX80 is perhaps the most accessible - and we love its Pinpoint autofocus solution too.